First, what you’ll need. You’ll need alum, for starters – that’s potassium aluminum sulfate. This is the basic material that’s going to grab onto the dye color, just as it does when used as a mordant in fabric dyeing. You used to be able to get the stuff in the spice aisles of grocery stores, and apparently in some parts of the country you still can (it’s used in pickling cucumbers). I purchased mine from a dye shop. Also, you’ll need some kind of alkali to precipitate the alum (turn it into an insoluble powder). Some possibilities are potash (potassium carbonate), washing soda (sodium carbonate) or chalk (calcium carbonate). I use washing soda most often. You can get it from dye shops as well; but for a better deal grab a big container at Home Depot or Lowe’s in the pool section. On the right are these two items. You’ll need the dyestuff itself. It’s worth noting here that not all dyes will grab onto alum to form a lake pigment; but if you’ve done a little research, you’ll have some idea at least of some of the ones used in the past. Here I’ll use some ripe buckthorn berries. 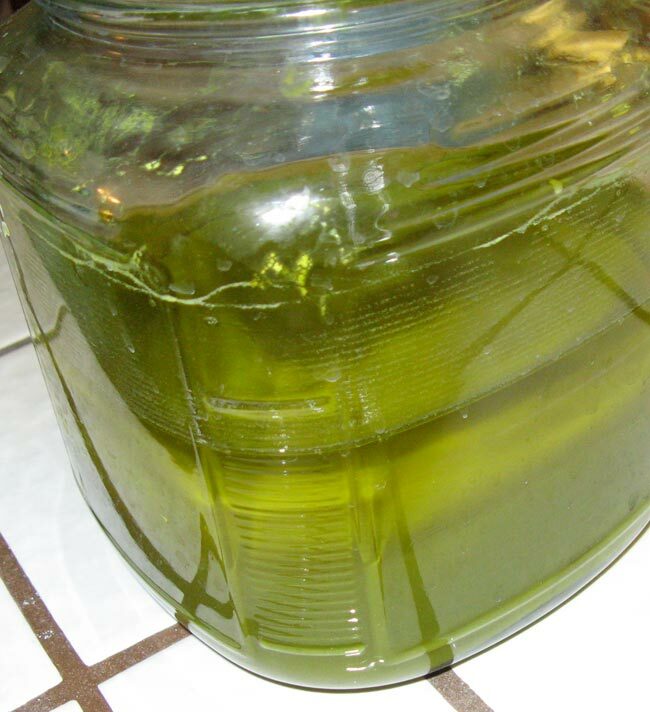 These were most often inspissated to make the watercolor sap green; but the dye from them will make a lake pigment. Equipment you’ll need: a pot and something to heat it with. On the right you see me heating up the berries in water on the stove. Some dyes, such as carmine, need to be boiled; for others, such as madder, boiling can ruin the color. Research and/or experiment. Other stuff: a funnel, some coffee filters and two jars of some sort (preserving jars work the best, because you don’t have to worry about pouring hot water into them). I usually have various jars around, so I can pour back and forth as needed. You’ll also need some distilled water – this is what should be used whenever the recipe calls for water. A mortar and pestle. And: a turkey baster. No, really. 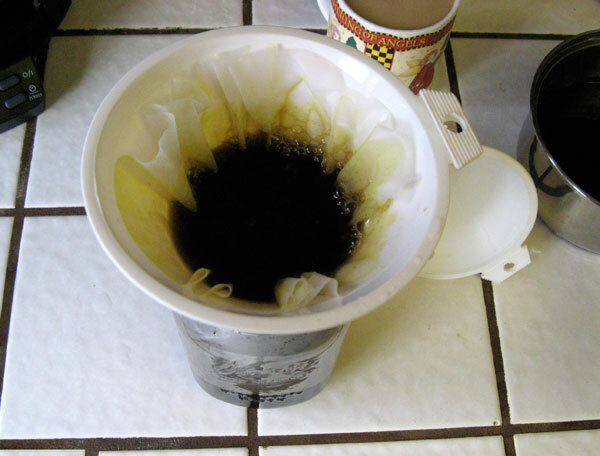 Once your dye is extracted from the dyestuff, filter it, using the funnel and a coffee filter, over one of your jars. You need to get all the gunk out of there. Now that you’ve got some extracted and filtered dye, the magic can begin. Dissolve some alum in water on the stove (a pic of this can be seen here), then pour the warm alum solution into the dye jar. With some dyes, such as weld, this will immediately bring out the color; with others, you won’t see any difference. 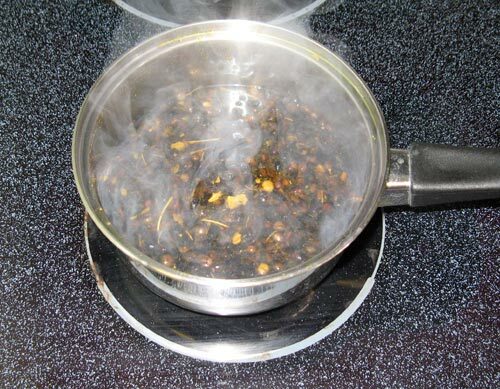 Now, do the same thing with the alkali (be a little careful with potash or washing soda – these are alkaline enough to cause a burn, make sure to keep the stuff out of your eyes): dissolve some in water on the stove, then pour some of the solution into the dye. Right away you should get a fizzing reaction as the alum encounters the alkali: as the alkali precipitates the alum, it releases carbon dioxide (or something like that). How much of each, alum and alkali, should be used? Well, it’ll be different for each dye and each recipe. As a general thing it’s better to add too little than to add too much, as more can always be added later. 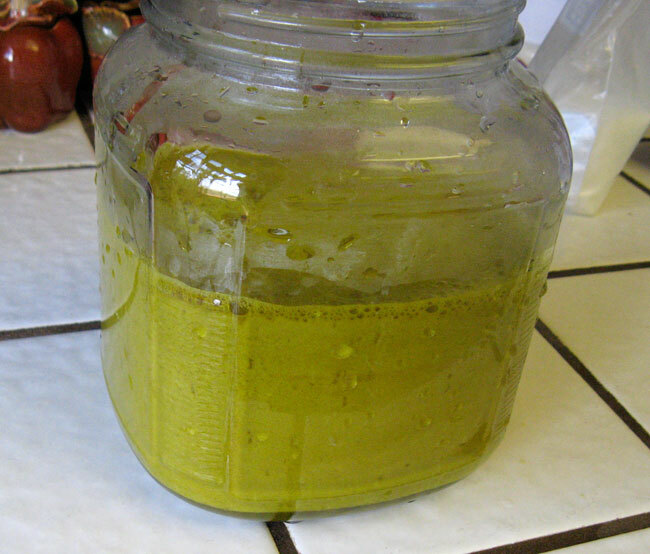 Let the jar sit – sometimes for a few hours, sometimes overnight – and the precipitate will eventually settle to the bottom. Now it should be washed a few times. Take your turkey baster (told ya) and siphon off the clear water on top, as much of it as you can without losing too much pigment. Then fill the jar back up with water and allow it to settle again. Do this as many times as it takes for the clear water to be colorless (or as near to that as your patience and water supply can handle!). Once the water is colorless to your satisfaction, siphon it off one last time, and then you’ll filter the precipitate through the funnel and another coffee filter, into your other jar. The pigment will usually clog the filter, so you’ll need some patience for this: fill up the funnel, then go do something else for a while as it slowly drains, then come back and fill it up again, etc. If you’re making a larger batch of lake you may need more than one filter. Remove the filter containing lake and lay it flat on a surface – I use plates with paper towels, but bricks are supposed to work nicely – and give it a couple of days to dry (but don’t put it in the sun – these are fugitive colors here!). It will probably shrink in volume quite a bit as it loses moisture. Once the lake is completely dry, you can grind it up, thoroughly, using a mortar and pestle. Now you have your pigment – mull it into linseed oil or gum arabic and give it a go! There’s very little more satisfying than creating a painting with your own pigments and paints. Don’t forget to keep good notes on your process – and feel free to post any questions or comments below. This entry was posted on January 10, 2011 at 12:07 am and is filed under All, Art materials, Paint making, Pigments. You can follow any responses to this entry through the RSS 2.0 feed. You can leave a response, or trackback from your own site. Thank you so much for posting this – sounds about like what I did with my madder. Now that I’ve gone through the process once, I think it will be fairly easy to try it out with other dyes. It looks like the post office has my weld, and I’ve got potash on hand and ordered some calcium carbonate with the weld. (i see a new science project in my near future!) have you noticed a difference between the alkali options? Not between washing soda and potash – the chalk, however, precipitates along with the alum, so it makes for a more opaque lake pigment. That’s the best one to use with the weld. Thanks for the tip! glad I ordered it, and can’t wait to work with it! Hi Laura, thanks for reading and commenting! Making a lake pigment is not difficult at all. If you’re into illumination, you might try making a rose lake pigment from carmine or brazilwood, both very easy. I’ve thought a hundred times about getting involved with SCA, just haven’t gotten around to it yet. I will! Thanks for information. I´ll make a lake pigment for colouring violin oil varnish. This is the infromation I need. Great, Panelo – best of luck with your violin varnish. And thanks for commenting! – L.
Just come across your great blog. Arrived here as I was looking up walnut ink which I am in the process of making. Have been finding New Zealand earth pigments for a while now; it’s a fascinating subject. Thanks for stopping in and commenting. Looks like some fascinating stuff going on at your blog! Natural earth pigments are somethings special to be sure. – L.
I’ve been making lake pigments for years now as part of my violin making process (I am even creating a madder root and weld garden!) and it’s not all that time consuming. Cochineal is definitely trickier than madder as it tends very quickly to a purple color if too much lye is used. You can make many different colors just by varying the mordants, many of which are poisonous and should be handled and disposed of carefully. For a well written presentation of making madder lake, go to David Rubio’s site. Even though he’s passed away, they’ve maintained his site. His process very much parallels your own. He warns that heating madder above 50 degrees reduces transparency and browns the red. That could partially explain the red brown colors on many Cremonese violins. Thanks for your very interesting site! Thanks much for the comment, sorry for the delay in responding. On carmine, my experience has been a bit different from yours, as I definitely find carmine lake easier than madder lake. In older treatises, artists are advised to only use the dark version of the pigment, which would be the more purple one. To get a brighter color out of carmine I’ve added some cream of tartar to the mordant mix, and that works fine; but according to George Field it’s not as lightfast that way. I have seen David Rubio’s tutorial on making madder lake; and while I found it useful in the early days, I don’t follow that procedure now, as I can get a much purer and redder lake by altering the process a bit. Sometime I’ll get around to posting that process here. UPDATE: My process for making a rosy madder lake has now been published on this post and those following. Could you please give some idea of the proportions of alum/alkali to dye? Tablespoon per cup — ?? Hi Charissa, thanks for reading and commenting. Proportions: it really depends on the particular lake. For the buckthorn lake above, the proportions of alum to soda was about 1.5:1. For carmine lake, I used 1.5 teaspoons cochineal, 4 teaspoons alum, and 2.5 teaspoons soda, so that’s in the same ballpark. But it varies wildly from there: madder lake for instance will use quite a bit more alum than soda. An opaque yellow lake, on the other hand, will use much more chalk than alum. One can also get different qualities of lake by altering the proportions: for instance, a lighter madder lake can be gotten by using more alum, while a darker one can be had by using more soda. You can learn all of this, and make your own recipes, simply by having a go at it, and using less of both alum and alkali than you need. Add a bit at a time, measuring and taking notes all the while, until the dye bath starts losing its color. That’ll give you a ballpark for the second batch, and refine it from there. Thank you. I gave it a go and at first nothing happened, so I added more alum and w.s. and the dye frothed up and overflowed my jar quite dramatically. I’m waiting to see if things settle down, but I think I may have overdone it. I am using a dye I extracted from the petals of red tulips. Next to try are roses. Hoping for an extremely fugitive lake pigment. If it’s frothing up, then the alum and alkali are interacting, all right. The only question now is whether that particular dye will lake or not. Some will, some won’t. Some will lake with this alkali, but not that one, so you could try variations. For really really fugitive pigments, you could also try substituting table salt for the alum. I understand that can work with some dyes. I’ve also tried epsom salts (magnesium sulfate) and of course copper sufate. Again, thank you :). I will give table salt a try. Iodized or not? Hi Justin, thanks for the comment. There will be more on making lake pigments soon. In the meantime, the process described in this post is pretty much the same as making a basic carmine lake. Thanks Lawrence! here is a quick visual of my process. Excellent video! Carmine lake is naturally very violet, adding cream of tartar warms and lightens it, making it a bit rosier – as you know. Thanks for sharing! There is a 16 page article on pink madder pigment and how to make it in the latest British Museum Technical Research Bulletin. Thanks Vincent, I will make sure to check it out! – L.
Would you like me to send you a pdf? If so let me have your email address. Yes, thank you, Vincent. I will email you shortly. – L.
The key to making a rose madder-type lake lies in the preferential extraction of pseudopurpurin from the madder. This is achieved by first soaking the ground madder in room temperature water overnight; this hydrolyses any glycosides to the aglycones (mainly pseudopurpurin and alizarin). After filtering the mixture to remove soluble material the madder is soaked in alum solution. The pseudopurpurin has a much higher solubility in alum than alizarin or purpurin. The alum solution is then made into a lake in the normal way by adding it to potassium carbonate or other alkaline material. Chalk (calcium carbonate) also gives a good lake but calcium sulphate is formed together with the hydrated alumina lake. This latter method seems to have been used extensively in antiquity. The cold alum extraction is the basis of George Fieldâs method but the reason it worked had not been revealed until recently, he also used aluminium acetate for the extraction. Thanks for your detailed comment, Vincent. I agree, except that in my experience it take more than one overnight to really do it right! Hello. I have my own experience with Madder lake. I’m very curious of your experiences. Marcin, thank you so much for sharing this valuable article. When I have the time, I will enjoy going through it carefully. Thanks! – L.
one containing 6 small cups of water, and one paras is, i.e. a large [saucer or] basin full of the ashes, and boil it until reduced to three cups. when it must be formed into small grains, and be put in the sun. Hi! I saw you briefly mentioned this, but does anything else besides ALUM work for the lake? i see the table salt suggestion..do you know if calcium sulfate may work without alum? thanks! Carmella, those are two possibilities I haven’t gotten around to trying out yet. I’ve been particularly curious to see if table salt works for any of the lakes. If I do try them, I will definitely post the results to the blog. Hi! I tried gypsum the other day with braxilwood. 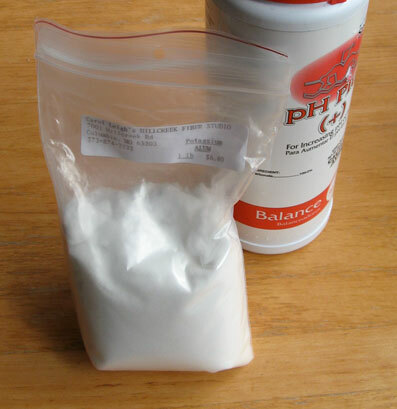 Along with sodium bicarbonate it did lake brazilwood but lightened the color and made it very opaque. alum works because the dye is absorbed very well onto insoluble metal hydroxides such as aluminium, copper, iron hydroxide etc. I have had reasonable success absorbing water-extract of madder onto chalk, particularly pseudopurpurin but I cant see how table salt is supposed to work as it is soluble in water. The hydroxide groups and carbonyl groups on the madder aglyconed are supposed to complex with the metal ions.Water extract of madder will even stain glass I find it very difficult to really clean my glasswear so it is not difficult to get some type of pinkish powder when madder extract is added to a powder. Hello I am posting from Japan. I found your videos on youtube and I reached this blog. I am dying in Japan and making pigments from the soil. Recently, I am trying to make pigments from plants. I was able to take out the pigment from onion pigment by looking at your blog. As a question, what is the reason to dissolve alum and alkali in water? Is there any difference between introducing it as it is? Will not the dye be diluted by dissolving in water?Anyway, I was lucky to have met with your blog in Japan without any information. thank you very much. There are still plenty of questions, but I will do it for today. I should perhaps further add that in my experience it is better to add alum and alkali dissolved rather than as powder. I find alum is soluble in water but it dissolves slowly If I make a 5% solution in cold water i.e. 20C, it can still be undissolved after 7 days if the mixture is not shaken at intervals or heated. A particle of alum in alkali solution would become covered with a layer of aluminium hydroxide which would impede dissolution. Thanks for the helpful replies, Vincent! Hi Sakoto! “Will not the dye be diluted by dissolving in water?” Yes, it will, but the substrate (alum with alkali) will grab the dye and pull it right back out again. Interesting about the onion dye — is it the orange you can get from the skins? Thank you for hi Vincent hi llawrence answer. As I use a translation site in the Internet, English does not come, and I’m sorry. That what I wanted to hear must not put alum and alkali as powder was to say that I asked it. This is because the dye which it took out densely with much effort fades away by a water solution, and it does not do it, or it was anxious. But it is Yes, it will, but the substrate (alum with alkali) will grab the dye and pull it right back out again. by an answer of llawrence　As was written, I understood that it was somehow all right. However, after testing it several times by oneself, a reaction is not seen with the water solution which I dissolved earlier too much. Therefore after putting it as powder directly, there was the reaction that I shed from a beaker. The density of my water solution is thought to be because it is low, but does not know it how much alum and alkali I should add for dye. I succeeded in taking the color of few onions and the color of the madder by the experiment that how many degrees was. Your youtube contributes to it. They became such a color. I am going to enjoy a crayon and a block print using it. In addition, will you tell me in various ways? hello. can you please write me, how much water should I use for each ingredient to make carmine lake ? Hi Dominika: I never measured a particular amount of water for any of the lakes. More important, I think, is how much to use of alum and carbonate. Hi Mirv, thanks for the reblog! Your blog looks awesome, will definitely be perusing sometime soon! HI There – I loved this article and hope to do this in my region soon. I was curious….after creating an oil paint with your pigments, did your pigments mull(mix) smooth or remain a bit grainy? I saw an experiment making a lake pigment of cabbage but even after making it into a powder, the oil and pigment remained grainy. Hi Crystal, please forgive the delay. 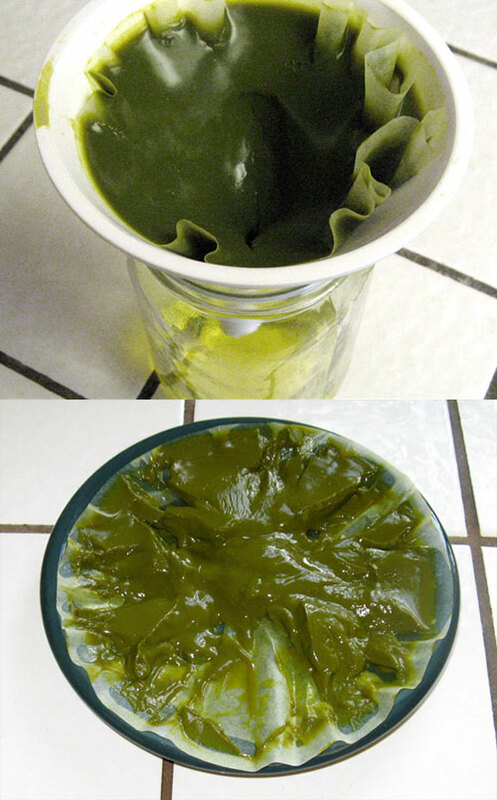 I wasn’t able to make a lake pigment from cabbage when I tried. I’m curious what color you made from it… blue? Violet? The other lake pigments I’ve made (especially from weld) required a pretty good amount of mulling to disperse properly. Give it some elbow grease, as my father would have said! Hi Lawrence. Thanks for your post. It’s one of the few places on the internet where one can find information in making lake pigments. I have been making lake pigment and watercolor paint from wild sunflowers and Chinese privet berries in recent months…things I found growing in my own neighborhood. On a hike yesterday I just discovered cochineal bugs on some wild cactus less than a mile from my home. Also buckthorn is a very common plant close by. I’m looking forward to many pigment experiments in the days to come. Can you elaborate on how sap green was made in the old days? Thanks again! There’s a bit of information at MFA Boston (http://cameo.mfa.org/wiki/Sap_green). The ingredients sound like they would just make an ordinary lake pigment, but they describe the result as a “thick syrup,” making it sound like something different. I made inks with my buckthorn berries, and that required only alum. 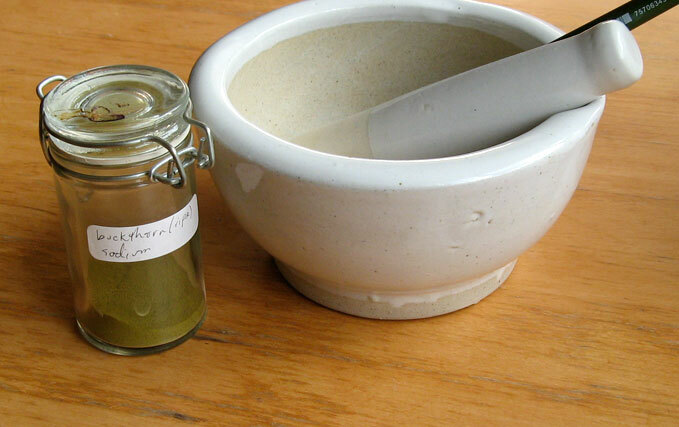 I did make a green lake pigment with iris petals (https://sunsikell.wordpress.com/tag/iris-green/), which in the Middle Ages were considered an alternative to buckthorn berries, and that used alum and washing soda like the other lake pigments I made. Thanks for commenting, glad you’re enjoying the blog and glad you’re adventuring with natural pigments (especially wildcrafted!). I’d love to hear how your experiments work out. Thank you for sharing this information. I’ve found only two plant sources here in the Ozarks that are light fast as water extracts added to gum Arabic media (sassafras and black gum), and I’m trying this process with them today to see if they’re still light fast using the lake process. So funny to be doing this now, when one of my very first jobs was at a water plant lab and we did a very similar procedure to clarify drinking water. Thanks for the comment, Madison… that’s interesting, I didn’t even know about those two dyes! Welcome back and thank you for commenting, wendyfe! Coreopsis is one of the many natural dyes I always wanted to try as a lake pigment but never got around to. I’d love to hear / see how yours turns out.